‘Hum Aapke Hain Kaun’ is undoubtedly one of the greatest movies in Indian cinema. The chemistry shared between Salman Khan and Madhuri Dixit was legendary and people still love watching that film. 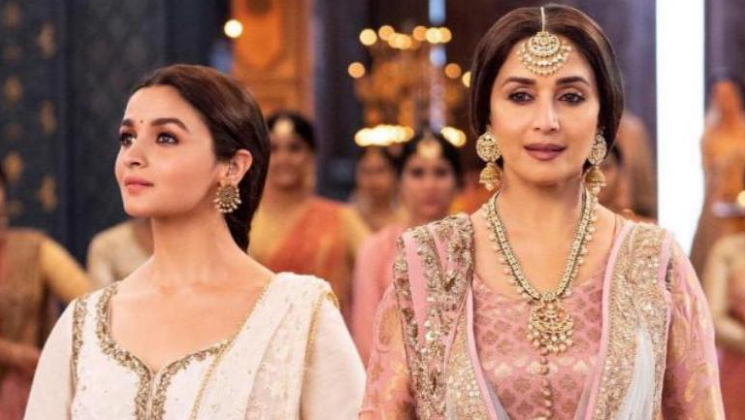 Now, Madhuri Dixit will be seen in Abhishek Varman’s magnum opus ‘Kalank’. While promoting her movie, she was asked about ‘Hum Aapke Hain Kaun’s remake. “Alia and Varun can easily play those characters. Alia is a very good actress. She can get into any role and make it her own. So yeah, definitely. They’ll be good,” she added. Well, wouldn’t that be exciting. Even we think that Alia and Varun will do justice in the remake. So producers, are you listening? Other than Alia, Varun and Madhuri, ‘Kalank’ also features Aditya Roy Kapur, Sonakshi Sinha and Sanjay Dutt. It is slated to hit theatres on April 17.